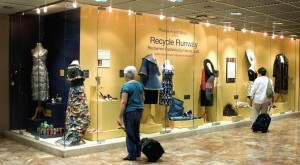 Airports provide Recycle Runway an opportunity to reach millions of international travelers often with time to spare. 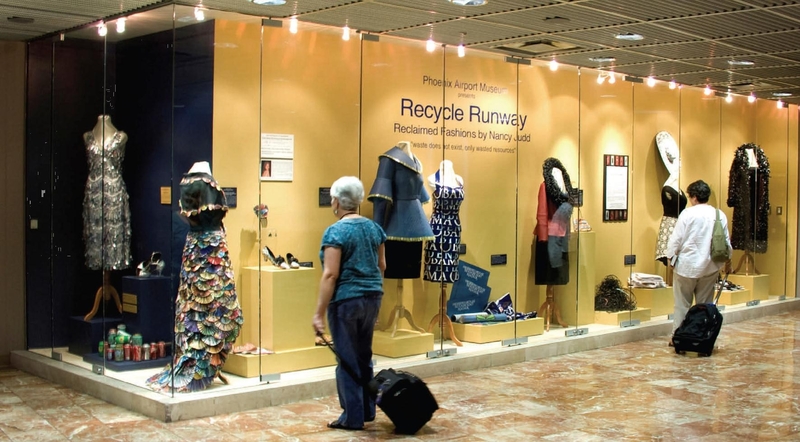 Airports include public art in their buildings to reduce the stress associated with airline travel, and Recycle Runway provides an engaging and educational experience to passengers while they wait for their plane. Nancy is excited to announce that due to the popularity of her first exhibition in the Atlanta Airport, they have invited her back to install a 2nd show of all new work in 2017!